Although dominating through the third quarter, the Pistons only managed a 6 point victory over the Cavaliers in this one. I would have liked to have seen another blow out, but it just wasn't in the cards tonight. Tayshaun Prince and the rest of the Pistons defenders were able to handle LeBron early on in this game, but James being the player that he is toughed it out and managed to score 30 points. 23 of James' 30 points came in the second half when the Piston players, with a 20 point lead, appeared to become disinterested. When all was said and done the Pistons prevailed 97 - 91 over the Cavaliers. 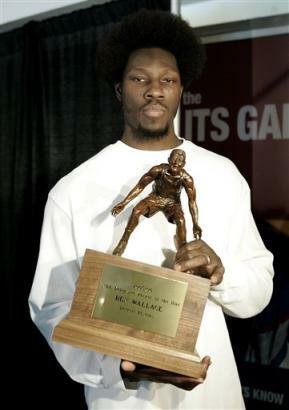 Ben Wallace won his fourth, well deserved, defensive mvp award on Monday. 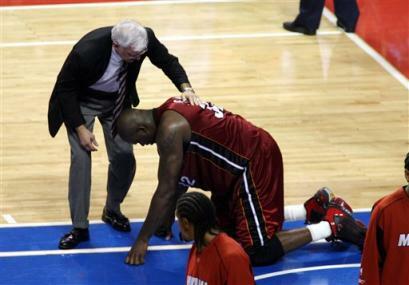 The man brings as much hustle and heart to the basketball court as anyone. Apparently football practice has become far too strenuous an activity for the Detroit Lions. Anyone that's been here before may notice some changes, like the absence of all of my old posts. I felt that since I was starting over with my blog, and that it had been nearly a year since my last post, it would be best to delete everything and destroy all that I had worked so hard build. But like the Phoenix my blog shall rise from the ashes even greater than it's prior incarnation.